SKU: 228. Category: Pet Apparel & Accessories - National Pet Month 15% Off. Tags: cat bowl, dog bowl, FDNY pet, pet, pet dish, stainless steel bowl. 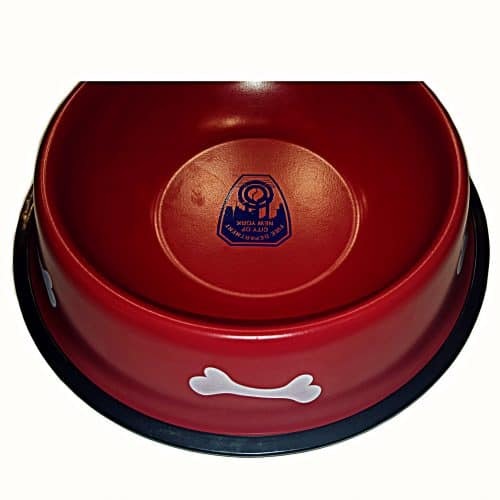 Large red pet bowl printed with bone pattern. 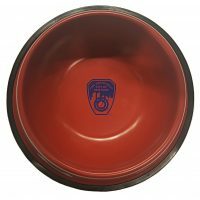 FDNY Shield is printed inside the bowl. Environmental protected material makes this bowl safe to feed your pet. 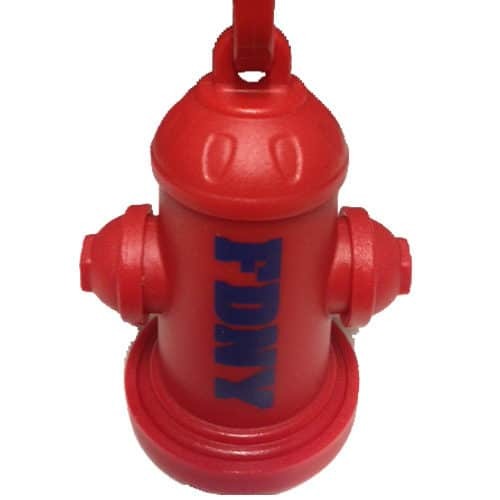 Save 15% off all FDNY Pet items sitewide. Use code PAWPAL at checkout. Minimum $25 in full price select items and code required. It can only be combined with code INSTOREPICKUP for local pick up. Cannot be combined with other offers. Offer ends 4/24/2019.